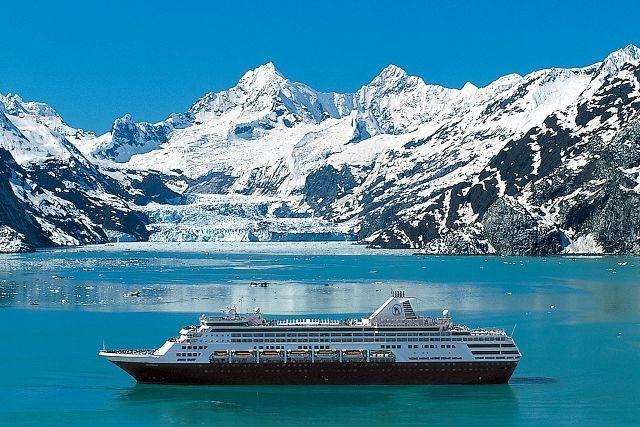 Holland America in our opinion are one of the best cruise lines to take an Alaska Cruise with. They offer large ship cruising at its best and over 50% of their guests get off the cruise and rebook another one. So what makes them so good. Attention to details and they know what their guest wants. Holland America are a premium 5* cruise line which is geared for the 50 plus age group.There ships are beautiful and it is the little touches that make the difference. Flowers and fruit in the cabins, umbrellas if the weather is inclement and some of the most attentive staff at sea. We offer a choice of packages and these include our 2 most popular. Our first is our 2 nights in Chicago followed by Amtrak Train Empire Builder across the heart of the Cascade mountains. Included is your own private roomette and is also fullboard. Upon arrival in Seattle you then have 2 futher nights before embarking on your cruise for the week. Our other best seller is the Rocky Mountaineer from Calgary into Vancouver before starting your cruise. If you are looking to do the Rocky Mountaineer, please upgrade to the Silver Leaf service, this is where you get the sky dome carriage and will really enhance your holiday.